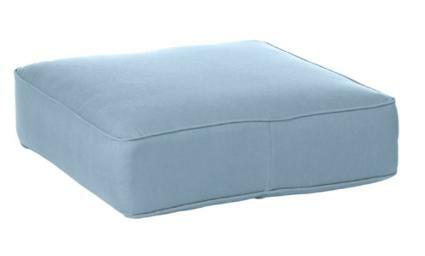 Item #7554 - Estate Series Ottoman Cushion. Boxed with self welt and zipper. Dimensions: 24" wide x 24.5" deep x 6.75" high. Fits: Bordeaux, Hyde Park, Lancaster, Mayfair, Newport, Sherwood, South Hampton, St. Augustine, St. Moritz, Wilmington. Fill: Fiam core with polyester wrap.